Wee Kitchen: I'm soooooo cheeeeeeeezy! 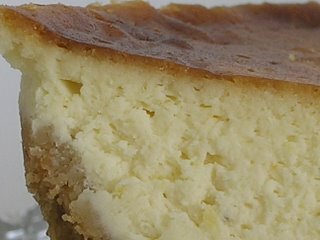 Cheesecake is something I don't bake too often, in fact I think I've only made one before...pumpkin cheesecake with sour cream & bourbon topping for Thanksgiving. How could that not be tasty? My cookbook of the moment is Nigel Slater's Kitchen Diaries. He's got a recipe for Orange and Lemon cheesecake which called out to me. So yesterday, I baked it. One little hiccup though...I had no springform pan...but that didn't stop me! I used a couple of other baking pans completely lined with tin foil. Worked out just fine...I love baking on the cheap. Melt the butter in a saucepan. Crush the digestive biscuits into a fine powder. Tip the biscuits into the butter and stir to mix. Preheat the oven to Gas 6. 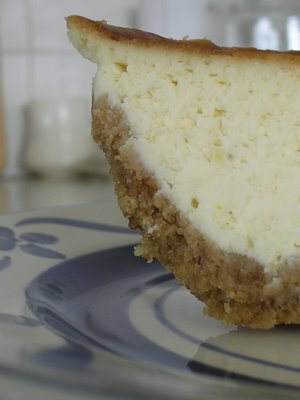 Press 2/3 of the buttered crumbs into the base of a 22cm , loose bottomed cake tin. Set aside to a cold place to harden. The freezer is ideal. Boil a kettle of water. Put the mascarpone, cream cheese, caster sugar, eggs and the extra yolk in the basin of a food mixer. Finely grate the orange and lemon zest into the cheese and sugar, then beat until thoroughly mixed. 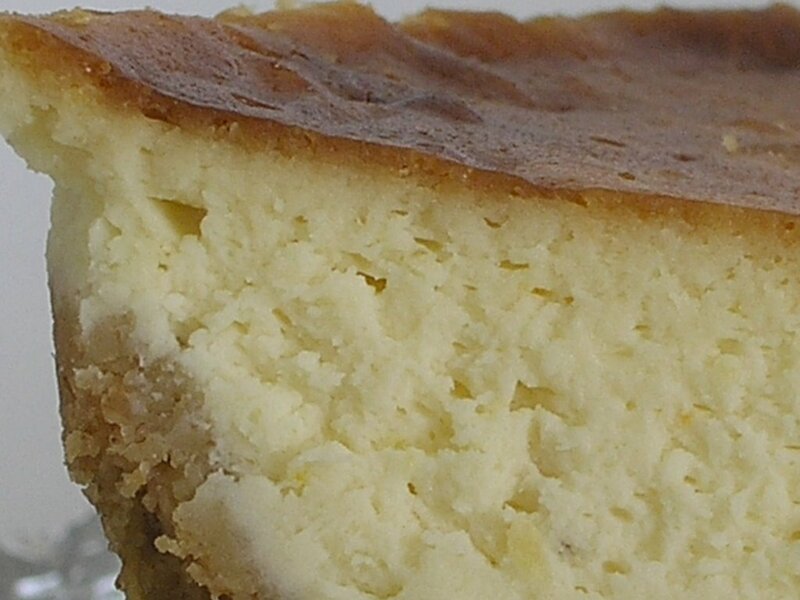 Fold the cream, juice of the lemon (not the orange) and vanilla extract into the cheesecake mix. Check out this site if you need weight or volume conversions. Try it...you won't be disappointed!